Born and raised in Louisville, Kentucky, Annette was the youngest of three children. She began singing in church with her older siblings when she was 6 years of age. Her Father preached the gospel; her Mother played the piano and wrote gospel songs, and Annette and her siblings would sing and introduce the songs to the congregation. At the young age of 10, Annette asked the Lord to come into her heart. Since that time, her life has been driven by her tenderness towards the Lord and her longing to touch others through her voice as His vessel. Annette's commitment to the Lord in the music included Children's Choir Leader for 8 years while singing in various mixed groups, singing solos, as well as playing many solos on her saxophone to open local church services. While living in Louisville, her outing she most looked forward to annually was the National Quartet Convention. She had a dream to one day sing on stage at the National Quartet Convention, but never dreamed that would take place. In 2009, Annette relocated to the southern Illinois area where she currently lives with her husband, Charles, and their beautiful White-Silver german shepherd, Dolly. Although Annette had always felt the Lord had a special work for her to do in the music, the opportunity to reach out and touch hearts throughout the world was not offered to her until her move to southern Illinois. Annette's dream to sing at the National Quartet Convention was fulfilled in 2014 in Pigeon Forge, Tennessee; where she sang two songs from her first southern gospel CD entitled "Listen to the Still Small Voice". Annette has since released two nationwide radio singles, "I'll Trust You with Tomorrow" and "Splinters from the Cross" (now rapidly climbing on the charts) Annette has sang several times on main stage at The Great Passion Play in Eureka Springs, Arkansas. 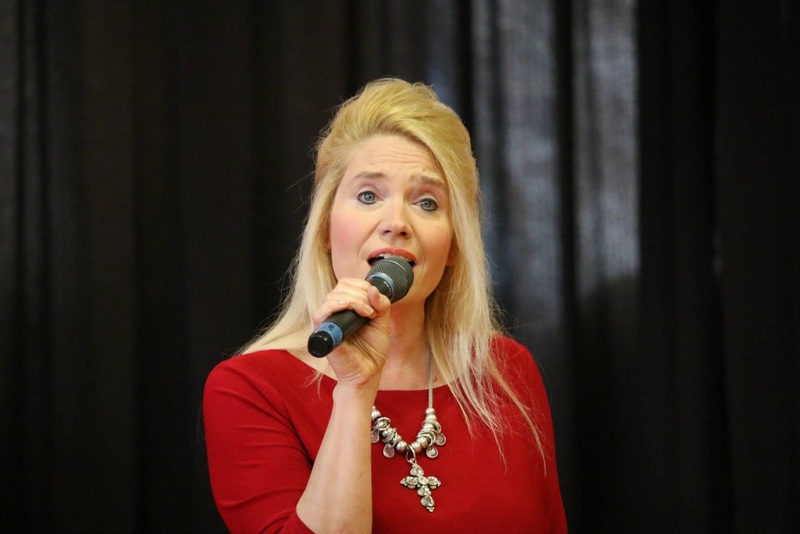 Annette has sang at many local church events, revivals, and charity events. She also performs at local assisted living centers / nursing homes and has a deep love for the elderly and shut-ins. She remains committed to the work of the Lord. Wherever Annette goes, she touches hearts, and many comments are made concerning "feeling her conviction" through her voice. She remains focused on drawing as many people to the Lord as possible. Annette is well known for presenting concerts wherever doors are open for her. She has been noted locally to be the "Parking Lot Gospel Sing" artist, reaching out to touch hearts even when not behind church doors. Annette is also noted for the versatility of her voice - from traditional southern gospel to country gospel to blues gospel. Annette sounds great, I didn’t know about her before I read this post. I hope all her fans are able to make it to the concert. God bless.